If Barry Purdon is right and logic plays its part Jack’s Legend could be the best each way bet in Tuesday’s New Zealand Trotting Cup. The one-time Jewels winner goes into the great race rated a $16 chance on the TAB, even though he ran second in it last season to Lazarus, beating home Tiger Tara and plenty of other stars. Taking Lazarus out of the equation and Jack’s Legend could be the defending NZ Cup champ and training legend Purdon says he is probably better for Tuesday than he was this time last year. “He is peaking at the right time and I would say he is at least as good as this time last year,” says Purdon. Jack’s Legend suggested as much when he stormed into third in the Cup trial on Wednesday, his last 400m faster than when he won the same event last year. He was clearly outpointed by Chicago Bull at Alexandra Park last start but then again, so would most of his opponents on Tuesday been had they started in the same race. After a false start to the season when he missed away in his first race, Jack’s Legend has been two big seconds and now looms as the dark horse in Tuesday’s Cup. 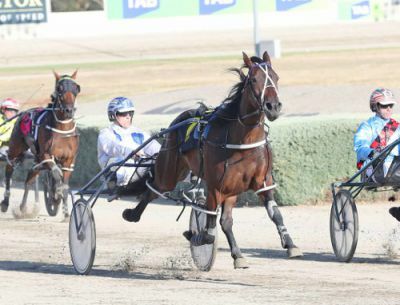 Purdon realises his job is all but done and now it is up to driver Zac Butcher to deliver the next piece of the puzzle. Jack’s Legend actually made a flyer from his 10m handicap last start at Alexandra Park but Purdon cautions against he and Butcher rolling the dice and trying to cross the favourites drawn inside them in a surprise move on Tuesday. “Sure that could happen if he begins really well and that would be great but I don’t think you can go out there with that as your Plan A, to make a quick beginning. “The most important thing is to get away safely and get a spot and the a cart into the race. Dream About Me and Thefixer start to jockey for favouritism at $4.40 each with Cruz Bromac the biggest mover into $6.50 on the back of his Cup trial win.